Ophthalmology is the area in medicine that deals with the anatomy and physiology of the eyes and diseases related to the eyes. An ophthalmologist specializes in surgical and nonsurgical treatments for the eyes. As modern medicine has been advancing these days, ophthalmology has also come to a point of advanced treatment techniques like lasers for retinal treatments, facilities for sutureless cataract surgery and optical coherence tomography. This department is headed by Dr.Tushara Aluri – DOMS, MRCO fellow, Aravind Eye Hospital, Coimbatore. The department of ophthalmology offers sutureless Phacoemulsification cataract surgery, laser treatments for retinal problems and other ophthalmic surgeries. It also provides a wide range of ophthalmic services comprehensive eye check, screening for preventable eye diseases, suture-less and painless cataract surgery and top quality retinal treatments are provided. To make this possible, the division is equipped with an entire spectrum of high precision Carl Zeiss equipment which includes Optical Coherence Tomography, Green laser, Fundus Camera, Surgical operating microscope and Humphreys visual fields to name a few. The Optical unit provides a full range of lenses and frames with onsite testing and dispensing for your eye needs. These are the retinal treatments offered by the ophthalmology department at Sri Sri Holistic Multi Specialty Hospital. Fundus fluoresce in angiography (FFA). Holistic approach to Diabetic Retinopathy, prevention and treatment with retinal lasers. Screening and treatment of macular degeneration (ARMD), vascular occlusions etc. Screening and treatment of Retinopathy of prematurity (ROP). Intravitreal injections (Avastin, Lucentis, Tricort & Ganciclovir). 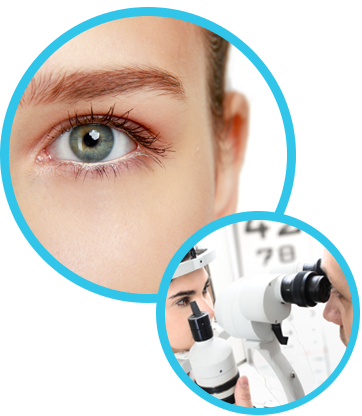 Cataract & Refractive surgery services. Diagnosis & assessment of cataract. Painless ocular surgery with intraocular lens implantation (IOL). (Peribulbar anaesthesia). Advanced phaco-emulsification cataract surgery (Topical). Humphrey’s visual fields (HVF) assessment. Medical treatment of glaucomatous diseases.